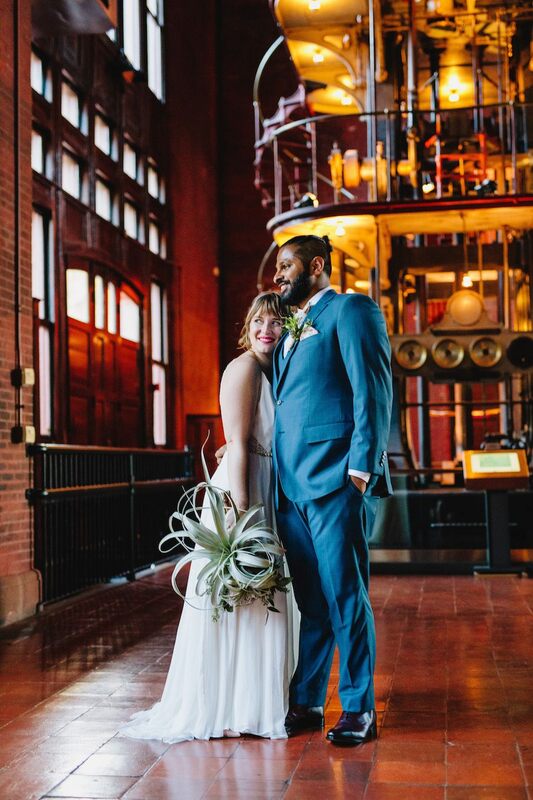 By Rachel Kashdan·	 2/8/2019, 3:00 p.m.
Brooke Howat and Abhinav Nair know one thing for sure: They met on Tinder in April 2014. The rest of the details? A little fuzzier. “We’re still not sure if I was the one to swipe right on Brooke or [if it was] my friend who was playing around with my phone on Tinder,” Abhinav says, with a laugh. Brooke, meanwhile, remembers Abhinav’s profile clearly: “It said, ‘I build robots, so you want me around when the world is ending,’” Brooke says. “I decided to swipe right.” The two, both grad school students living in Boston, messaged back and forth for about a week before deciding to grab coffee at Pavement Coffeehouse. They ended up sitting by the Charles River for two hours chatting. “We talked about everything from the various cities and countries that Abhinav grew up in to our mutual love of Doctor Who,” Brooke says. 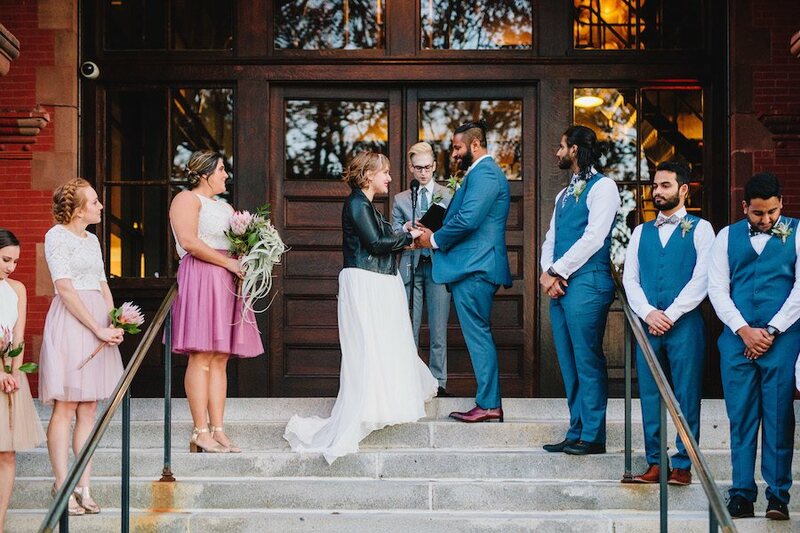 Afterward, Brooke called her best friend, Aaron, to say that she’d been on the “best date of her life.” Two dates later, Abhinav officially asked Brooke to be his girlfriend. Her response? “She said ‘No, ask me later,’” Abhinav recalls. 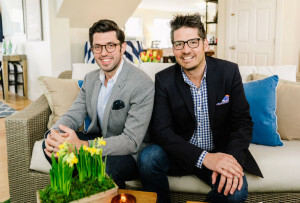 Nonetheless, Brooke eventually conceded, and the two moved in together about a year after they first met. In January 2017, while on vacation with Brooke’s family, Abhinav asked for their permission to propose. They were overjoyed, of course: Brooke’s grandmother, Jan, even offered up her own ring, which Abhinav used by removing the stone and re-setting it in a new ring for Brooke. In May he took it to Switzerland, where the couple was attending Abhinav’s brother’s culinary school graduation. 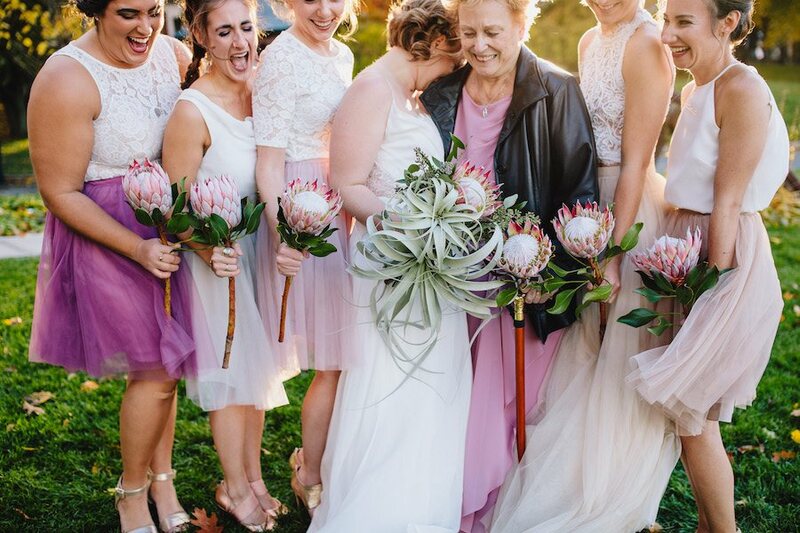 The couple landed in Le Bouveret after what Abhinav recalls was a long and uncomfortable flight, and “Brooke was pretty grumpy and tired,” he says. Still, as they walked around Lake Geneva, he searched for the perfect spot to pop the question. “Every time I was like, ‘Oh let’s walk over to this pier,’ or ‘Let’s sit down on this beautiful bench,’ Brooke would be like, ‘Nope I just want to go to a bar.’ Eventually I had to basically tell her to shut up and listen to what I had to say,” Abhinav jokes. He asked Brooke to marry him, and then they headed to a nearby chalet for celebratory champagne and cheese. 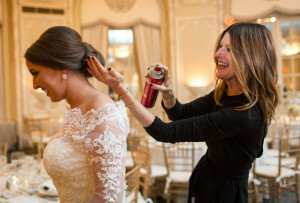 “I was so happy, obviously, and very excited,” Brooke says. 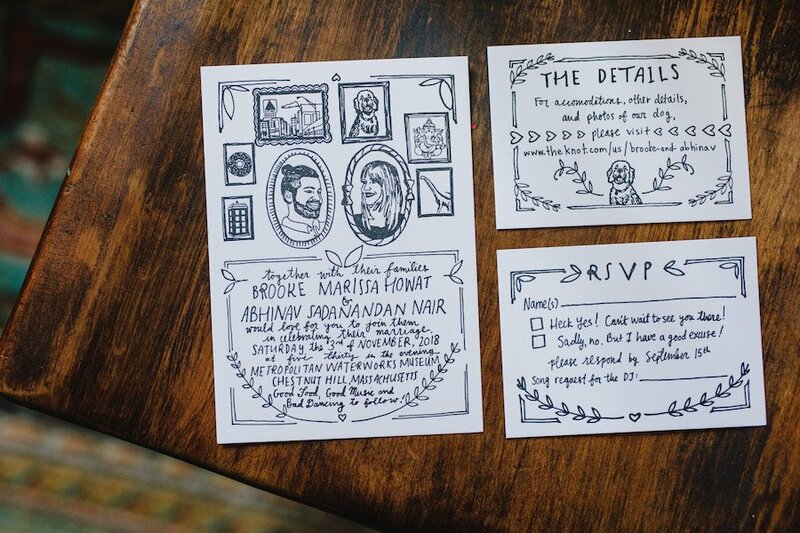 Brooke and Abhinav bought their custom letterpress-printed invitations—which featured personal elements such as the Citgo sign and a portrait of their dog, Idli—from Etsy shop Ratbee Press. “We wanted to include parts of our personality and not just do something generic,” Abhinav says. 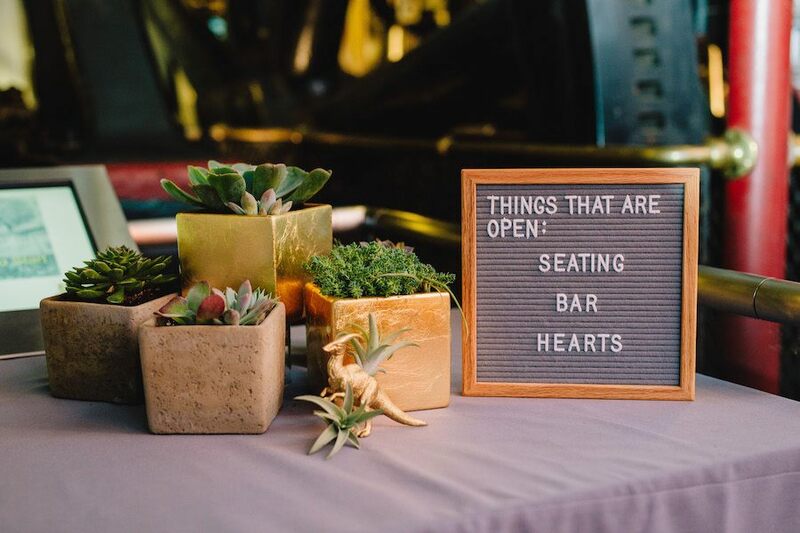 Nestled in square- and dinosaur-shaped planters, succulents and air plants adorned tables at the couple’s reception. 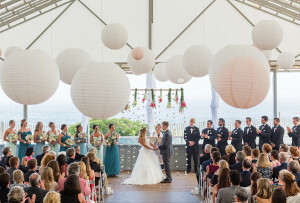 “We wanted something that our guests could take home and keep and enjoy,” Brooke explains. 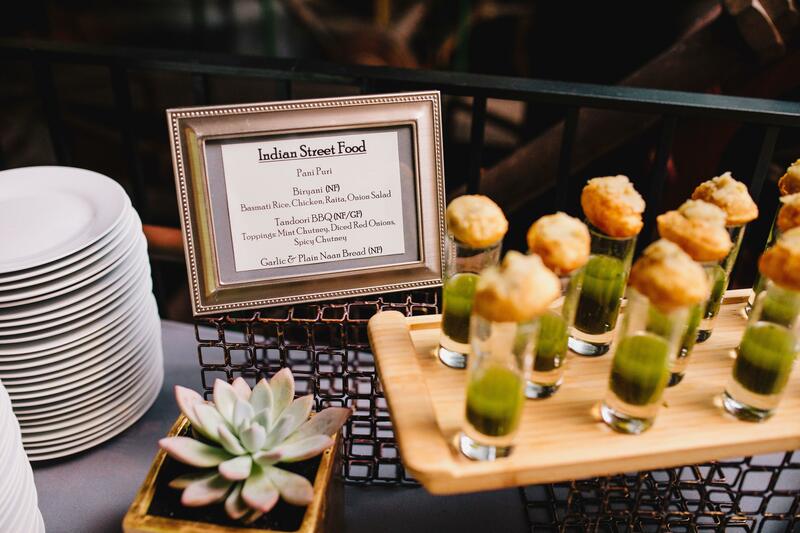 Brooke and Abhinav’s reception featured three food stands: one with tacos, one serving poutine, and a third with Indian street food. 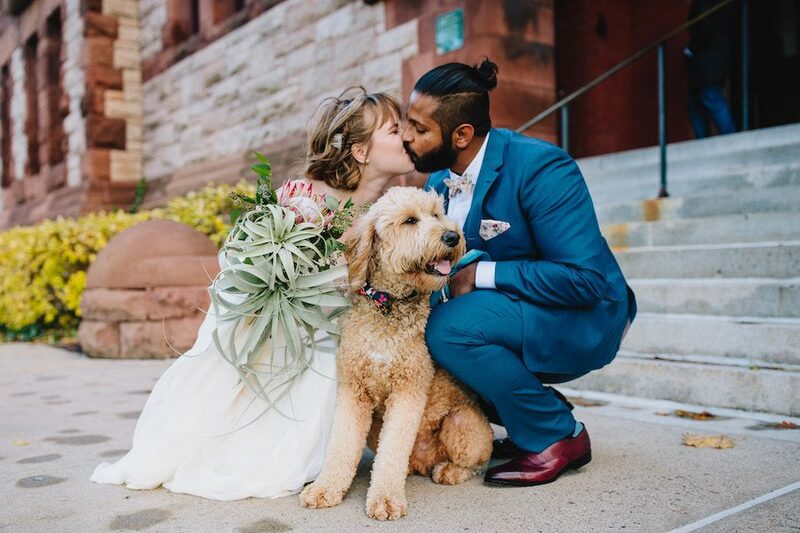 “We wanted to include a touch of my Indian culture and also have all the fun things that are part of American weddings,” the groom says. 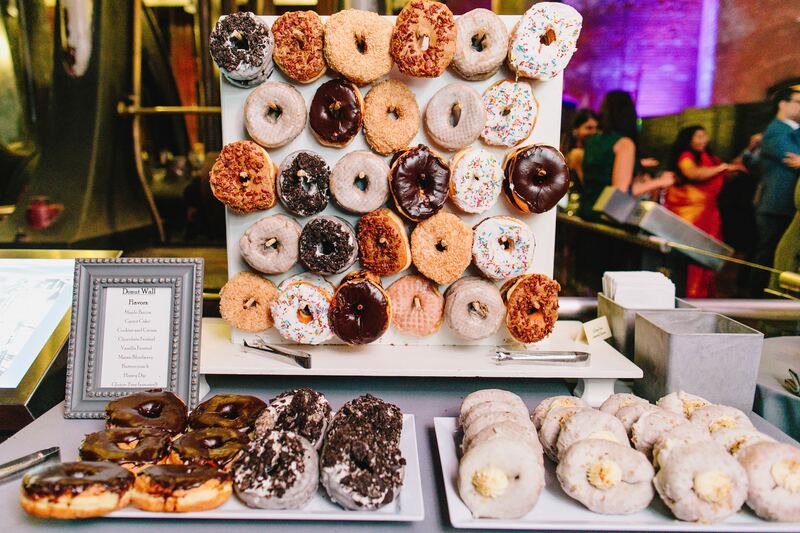 The couple’s doughnut station featured their favorite Kane’s Donuts flavors, including maple bacon and honey dip. “[Abhinav and I] had a very intense debate about which shop in Boston we’d get the doughnuts from,” Brooke says. 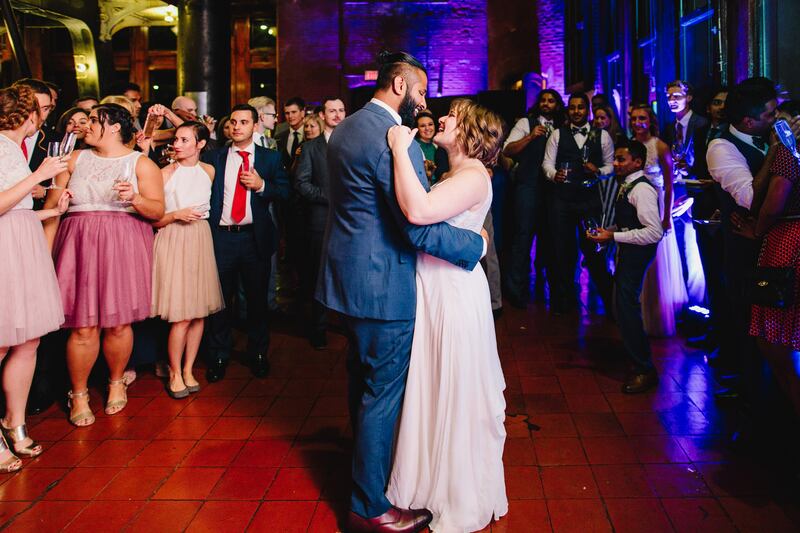 Short but sweet, Brooke and Abhinav’s 30-second first dance was to Alicia Keys’s “If I Ain’t Got You,” which the groom selected. 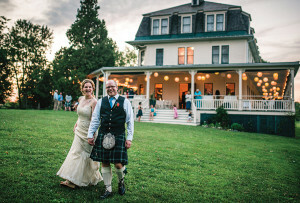 “I didn’t really want to do a first dance, but our DJ convinced us,” Brooke says. “Neither of us is an amazing dancer,” Abhinav says, with a laugh.